Photo Booths are popping up everywhere these days. 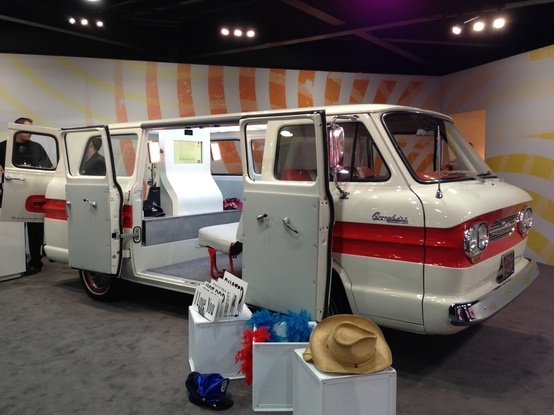 Check out this creative photo booth built into a classic van at the North American International Auto Show at Cobo Hall in Detroit. Love it! It would also be fun to have one built into an elevator. Imagine if you could immortalize the fun during that 16 seconds you spent riding to your floor? The only problem is that nobody would want to get out! Where are some places that you’d like to see a built in photo booth? Leave your thoughts in the comments.